But what they all have in common is the need for greater legal certainty and support. MI5 whistleblower Annie Machon, who was forced to go on the run with her partner David Shayler in 1997 for revealing corruption in the British intelligence service, has spoken often of the emotional and psychological toll it can take. Since then, others, most famously Edward Snowden, have been forced to flee their homes. But while not every whistleblower is forced to take such drastic action, many of the fears and practical impacts are the same. Earlier this year, French-Italian whistleblower Hervé Falciani was arrested in Spain. Falciani was one of the first to blow the whistle on global tax fraud in 2006 and 2007 when he worked at a Swiss spin-off of HSBC as a computer scientist. That he is still pursued more than 10 years later shows the lifetime impact of daring to take a stand. Falciani’s actions paved the way for other whistleblowers, like the ones involved in the Lux Leaks case. The most well known duo who went public with information about the favourable tax deals given to multinational corporations by the Luxembourg government. However both have faced serious repercussions for their whistleblowing. After resigning from PwC in 2010, Antoine Deltour went public with the deals his former firm had negotiated with the Luxembourg Tax Authorities. Raphaël Halet was initially anonymous, but as the scandal grew, came forward alongside Deltour and Edouard Perrin, the French journalist who made the 2012 documentary about the case. But far from being praised they were dragged through the courts - not just once, but in appeal after appeal. What does Robert McCoy have to say? He blew the whistle in the Committee of the Regions. What were the main considerations before you blew the whistle? In my capacity at the EU’s Committee of the Regions (CoR) I was faced with the discovery of widespread fraud and embezzlement which none of the senior managers found untoward and continued to sweep under the carpet. The organisation’s senior managers had (and still have) no moral compass and its culture and governance were – and still are – haywire. My biggest consideration was the CoR’s refusal to apply the law and comply with the rules. What support/aid would have made it easier for you? Immediate, unlimited provision of comprehensive legal aid and assistance. Provision of a “safe house” 1. constituting a physical and psychological refuge from harassment, pressure and retaliation on the part of my now former employers and 2. providing psychological and legal support to whistleblowers. 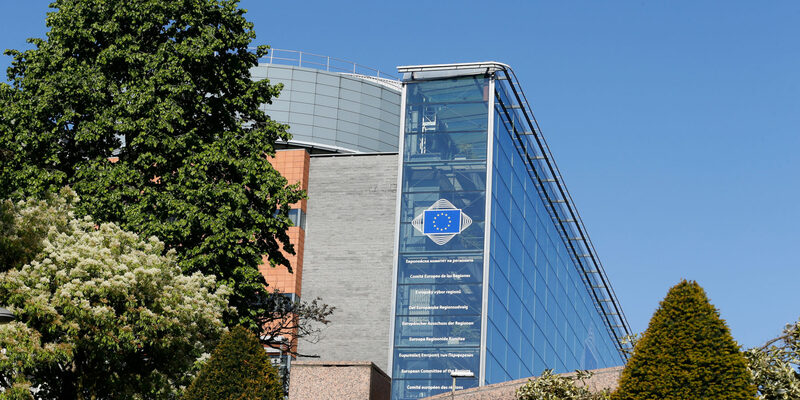 For the EU’s authorities (OLAF, the European Parliament, the Court of Justice, the Commission’s Paymaster Office, etc) to be able to require the effective implementation of their own decisions, demands and findings. Is there anything that would have helped from a legal/legislative perspective? If the rules on whistleblower protection in force at the time I blew the whistle (2003/2004) had been applied, there would have been no problem. Even the best laws in the world are of little use if they are not applied – and more importantly – if their application is optional. Logically, no! The problem is that if the potential whistleblower has a “normal” conscience and a “normal” sense of right and wrong, then he/she has no choice but to “do the right thing” and report wrongdoing. Would you advise someone else to do it? Definitely not! But then that’s my head talking and not my heart. I would definitely not advise a single mother on a short-term contract with children to feed to start blowing any whistles! Not unless they are aware that it is more than likely that they will lose everything: their jobs, their health, their families, their reputation and that any sort of legal redress will probably take years and cost the price of a house! More examples of recent whistleblowers from all EU Member States can be found here.